Hip-hop duo 3KNGZ had a remarkable 2016, claiming the top spot on NEW LEASE MUSIC’s Top Ten Songs of 2016 list with track, ‘Kick’ – and that’s not the end! Member Meru El Muad’Dib’s offering, ‘Stay Up, Stay Blessed’, was also on the same list, ranked at #5. 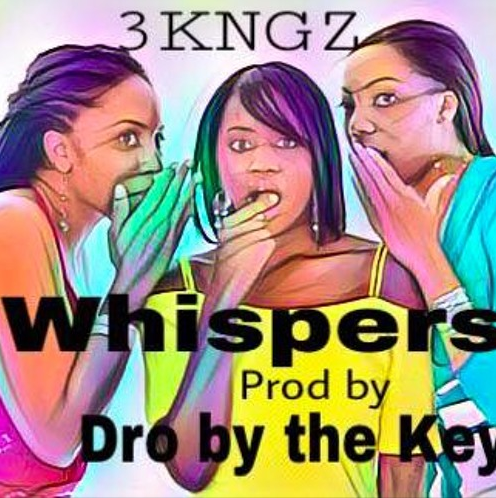 Determined to continue the type in 2017, the pair have joined up with producer Dro by the Key for the epic and, as always, brutally honest track entitled ‘Whispers’ – check it!! !